This season started with an outbreak close to Saturn's north pole! These images were taken using a Celestron C14 mounted on an Astrophysics AP900GTO mount and a QHY290M camera. RGB is done using a set of Chroma Technology RGB filters on a Starlight Xpress Motorized filter wheel. Methane band images are done using a Chroma Methane Band filter (889nm 18nm bandpass). 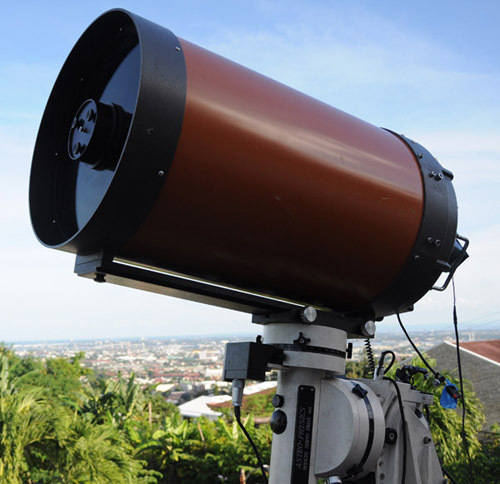 Amplification is done using an Astrophysics Convertible Barlow working at 2.5X. Image acquisition was done using Torsten Edelmann's Firecapture 2.5 software. All images are NORTH UP! Processing was done using AutoStakkert! and Registax. For info on Saturn's belts and zones please click this link. You can also see my past images of Saturn at the ALPO Japan Kansai Branch site. Here is my first image of Saturn for the season. Seeing was perfect! The polar hexagon and the polar vortex are prominent in these images. Some low contrast white spots can be seen. The belt and zones are very prominent including a a white belt on the north temperate region.